Enjoying the rewards of sharing my love of reading with my children, and hoping to pass some of that joy along to others. I'm a credentialed teacher who chose to leave the classroom temporarily to enjoy being full-time mom. My boys have crowded bookshelves and I keep a "stash" in the closet of books they have yet to grow into. Library day is a much anticipated treat around here, and bedtime stories always seem to end with, "could we have one more, please?" 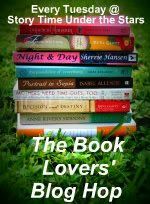 I'd love to hear if you've enjoyed the same books we do, or if you know others we might enjoy... so please share! Feed Me Books Friday: Grab the Code, Join the Fun! 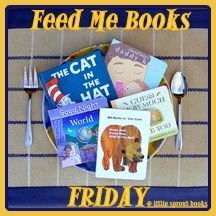 Feed Me Books Friday: All Aboard for Reading! Feed Me Books Friday: Hip Hip Hooray For Teachers! Read a Book - Donate a Book - It's That Simple! We’ve had a couple neighborhood cats frequenting out backyard lately. The boys find it pretty entertaining to see one meandering between the swings or tip-toeing poolside, but I think they have an ulterior motive – not unlike the bold and spirited cat character starring in Lois Ehlert’s Feathers for Lunch. As you might imagine from the title, said cat has his eye on a lunch of the bird variety. 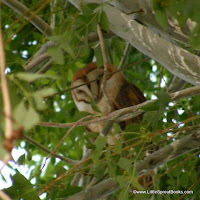 I think the cats we’ve seen lately have similar intentions – we have a pet-less backyard, an abundance of chubby little lizards, and a few bird nests under our eaves. I have to say, I’m rooting for the birds and lizards to come out on top in our yard, just like the birds in Ehlert’s book. For our book-club activity, we decided to investigate bird escape tactics. 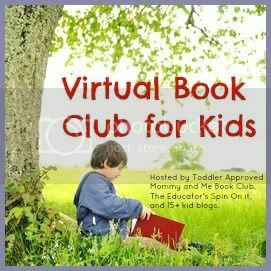 The fabulous team of The Educators’ Spin on It, ToddlerApproved, and Mommy and Me Book Club are hosting a year-long virtual book club for kids, and this month’s featured author is Lois Ehlert. A different author is featured every month, and it’s not too late to get on board! Amy Krouse Rosenthal is slated for October. Visit one of the host blogs to get the full schedule! and even the attic vent (we’ve found more than one stowaway lizard upstairs, especially in winter). I’d like to say we did some bird identification using Ehlert’s book as a field guide, but I’m afraid the zoom lens is the closest we’re going to get to our backyard wildlife for now, but the boys are working on the quiet waiting skills necessary for the birds to come around. How do you teach your kids to observe wildlife in a calm and quiet way? 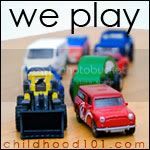 If you have a Lois Ehlert book and activity to share, you can add your link to the blog hop - if you have questions, be sure to visit a host before linking up! Blogging is one (but certainly not the only) area of my life that I put off getting started because I want to be sure I do it “just right.” The scrapbook stalled several years ago… the recipe binder needing organizing… the child’s closet needing cleaning… the craft… the repair… the garden… you get the picture. Fear of mistakes is a paralyzing feeling for adults and children alike, but the truth is, there are few situations that can’t be overcome by just getting started. Errors are rarely earthshattering and can often be creatively converted to masterpieces, but they’re hard on the ego. Once they had to tell me what the chicks looked like (wings, beaks, feet, eyes) drawing them wasn’t such an enormous task. Were the drawings perfect portrayals of hours-old chicks? Not really. But they were sure adorable. In Peter Reynolds’ The Dot, young Vashti experiences the same art paralysis. She doesn’t know how to begin. Her encouraging teacher advises her to make any mark on the paper. In a characteristically immature move typical of an uncertain artist of any age, she jabs angrily at the paper. Rather than responding with frustration, the teacher directs her to sign her mark and proceeds to frame and display it. Inspired by her teacher’s demonstrative show of confidence, Vashti creates a whole gallery of very creative dots that become part of a school show. The teacher’s lesson is not lost on Vashti – she repeats it to a peer who is awestruck at the show. This book is a lovely story to share with your own child when he or she is feeling fearful of a new undertaking, to read for yourself when you’re stuck before you’ve started, or to give as a gift to a special teacher or inspiring person in your life. We’ll be sharing it with B’s kindergarten teacher for Teacher Appreciation Week. Appropriate for preschoolers, primary grades, everyone! 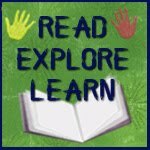 By the way - Teacher Appreciation Week happens to coincide with Children's Book Week this year - hoping to share lots more about the books we're enjoying as the week goes on, but if I don't get the posts up, it's because I'm "perfecting" teacher appreciation gifts - check out the LittleSproutBooks Facebook Page. Every year Dr. Seuss’s birthday is marked by the NationalEducation Association’s Read Across America Event. This year’s theme book is The Lorax, highlighted in conjuction with the feature film version of that title. If you’re a fan of the Lorax (or have yet to be introduced to this eco-minded creature) I’m sure you’d enjoy celebrating by reading it with a child (or a group). But you don’t have to love the Lorax or even Seuss to be a part of this worthwhile event. Read Across America is an annual recognition of NEA’s year-round goal of encouraging and motivating young readers. Whether you choose a book you love or explore a new interest, read a treasured classic or a noteworthy newbie, reading with a child is a wonderful opportunity for spending time together and cultivating a love of reading. Take the pledge at the NEA homepage or the facebook cause page and get reading! Find a huge variety of activities in Seussville including book descriptions, videos, and games. Make a Seuss themed snack - I made Cat In the Hat cupcakes last year. Download a Dr. Suess book themed app from Amazon for your Android device. Many are on sale today in honor of Read Across America! Visit your local library - many are participating in the celebration, or explore some new titles! Any special celebration plans? Anyone going to see The Lorax in theaters this weekend? The Lorax has some pretty complex themes of ecology and responsible production, but B has been captivated by it since he was about 3 ½. Do you think there’s a “right” age for The Lorax? Our package came from Robyn at Pen Pals and PictureBooks. She sent us a copy of Lois Ehlert’s Fish Eyes. It’s an eye-catching counting book that lends itself to artistic expression as well as a variety of language and math skills. The package also included glue, paintbrushes, tubes of glitter, and construction paper fish. Her note pointed us to a recent post that featured her own experience with Fish Eyes. Like all Ehlert books, the colors and patterns are vivid, and while they don’t sparkle, glitter seems only appropriate in an attempt to capture the bright illustrations. 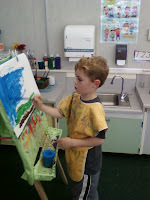 The boys went to town with their glue “paint.” B experimented with patterns and stripes, while T favored abstract dots. I couldn’t help but decorate one myself… glitter is hard to resist! Fish Eyes provides a visually stimulating counting practice, but it doesn’t stop there. Each fish in the counted group has a cut-out circle for an eye, through which the color of the next page is visible. Because each number group is featured on a two-page spread, some of the cut-outs are on each side. We used counted the holes on each side and then practiced addition facts to determine the number of the total group (ie. 3 holes on the right plus 4 holes on the left equals 7 fish eyes). Ehlert also makes use of many vivid verbs to describe the number groups, offering opportunities for vocabulary development. The rhyming text calls upon the reader to consider what he might wish for. (Would he be a fish?) B decided it would be fun to be a fish as long as he knew he could turn back into a person. We very much enjoyed both the story and the art, and we are grateful to both Robyn for sending it and Amanda for the organization and jump-start! **Don’t know if it was coincidence or careful planning on Amanda’s part, but our package went to the other half of Pen Pals, Whitney. We sent her a copy of The Alphabet Tree (the same one B gifted to his kindergartenteacher) along with some letter stamps and bug building supplies. 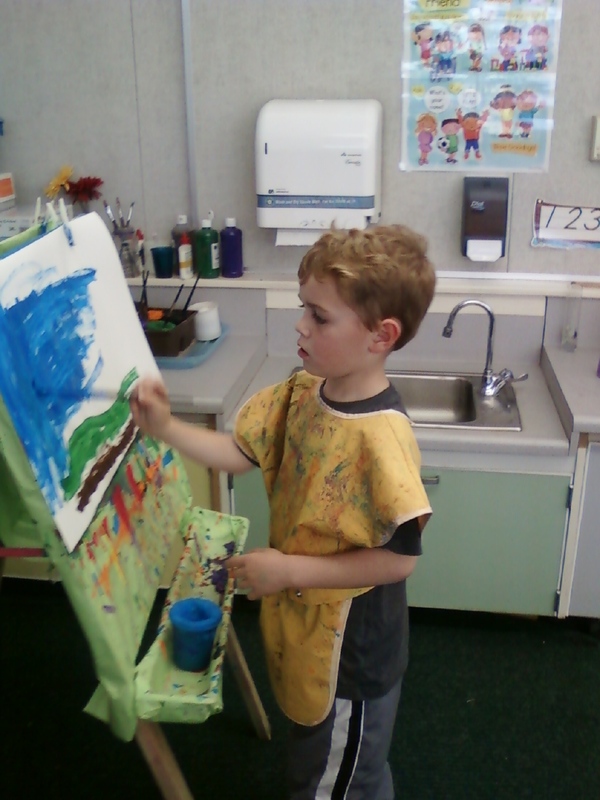 Check out theadorable trees she created! Appropriate for toddlers, preschoolers, primary grades. In a continued effort to honor my commitment to simplicity (see last week) I am not going to stress myself out by composing a post in an already too full week. I am also honoring my commitment to spend more time visiting and promoting those who are committed to my link up, so if you didn't link last week, I'm adding a week to the linky. Go HERE and link to your book review - then go make some new friends! How Do You Like Your Updates? Bloggy Friends You Should Visit! 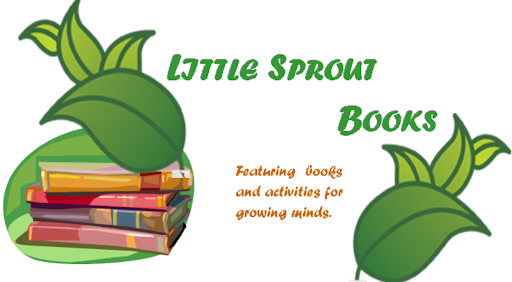 Subscribe to the Little Sprout feed! 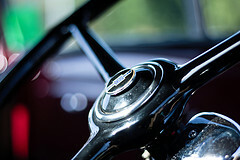 I retain the copyright to all content and images. Should you desire to use either, please link back to me. 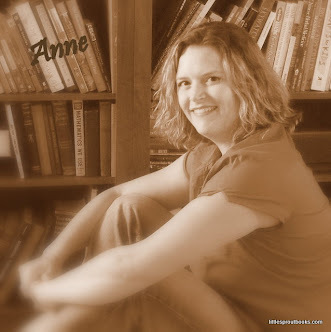 Booklinks are Amazon Affiliate links, and may earn a 4% commission for me. Otherwise, I receive no compensation for the books I review, and all recommendations are made because we love them! While you were here, I hope you: smiled, gained something useful, and decided to come back soon!